Make a Scene, hosted by Vancouver musician Cherelle Jardine . Make a Scene wants you, the music lover to go out and support our musicians. It’s that simple. Join Cherelle each Tuesday night at 7 pm and together you will explore what’s happening musically in beautiful city Vancouver and beyond, focusing on BC. Interviews, indie music, band dates ... Cherelle digs deep. Cherelle is quoted as saying, "Make a Scene started out with my husband Marc Gladstone and I lamenting about the state of the music scene in Vancouver, how hard it is to get people out of their homes and into the venues. So we started a Facebook page. We didn’t add people to the page, we sent private messages, telling people what we were aiming to do … revitalizing the live music scene, you know, when you build it, they will come. Within no time people started joining the page and promoting their shows. Make a Scene then morphed into this radio show". Join Make a Scene, on facebook. You can find it by searching @makeascenebc. 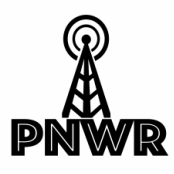 Promote your shows, review a show, get out of the house and listen to some live music.